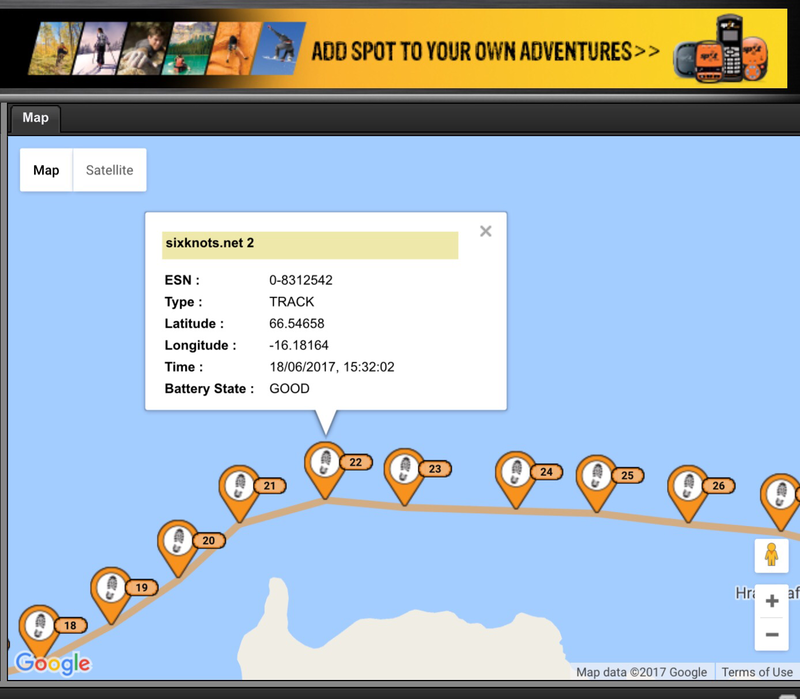 At the start I need to establish this, we are paddling against headwind. 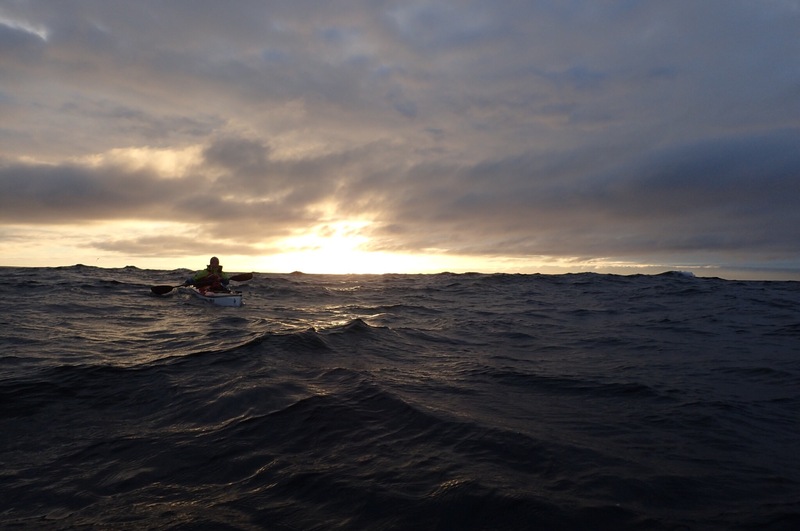 We have been paddling against headwind for the last twenty six days. Each day the headwind was of at least of force 4/5 and then 6,7,8 and more, for whole or part of the day. We have paddled against it up to the force 6, force 7 has reversing power on us. Only two days out of the twenty six we had tail wind of variable force 4-6, which gave us some push, but raised the sea to exciting levels. Now, that I got this of my chest, I can proceed with the writing. 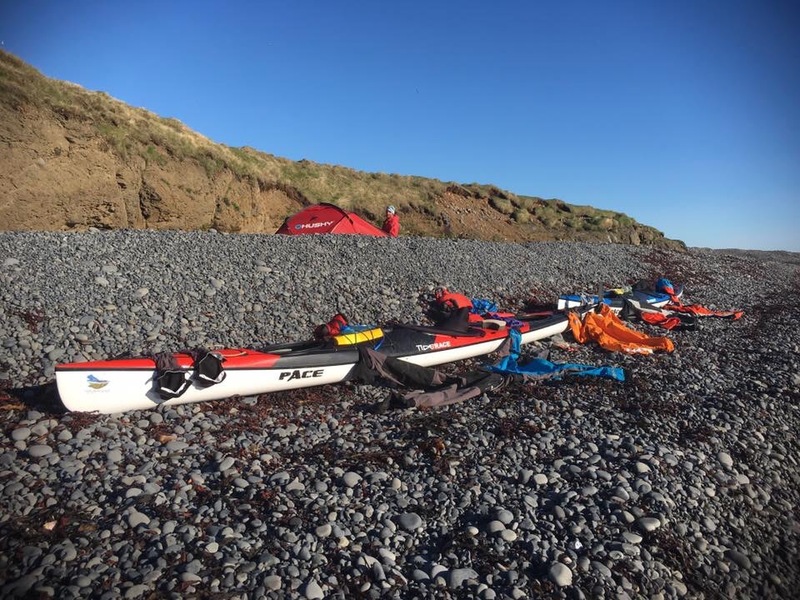 The fact that we are battling against the wind has its effect on when we paddle, and how far, but is also slowly taking its toll on our physical strength. 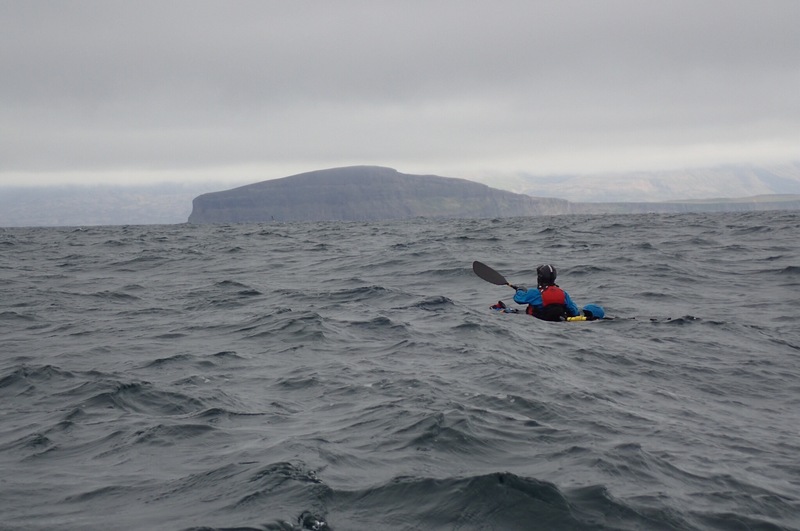 The last few days we were fighting our way around a rather large headland west of Eyjafjordur. 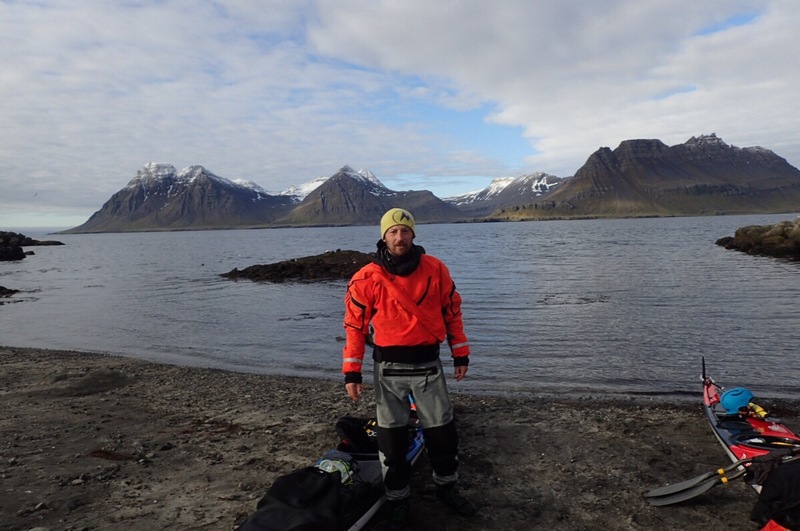 We started this leg in Lónkot with a fairly short leg during the day. Then we decided to have a rest and to continue overnight. 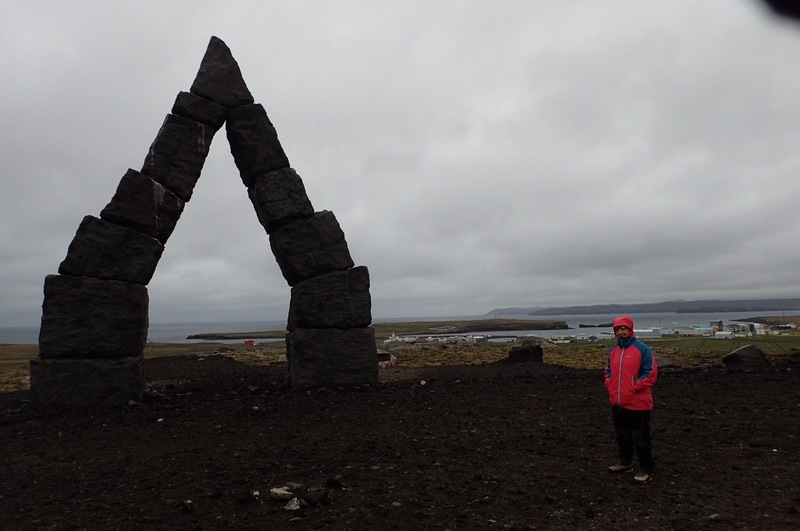 We left Olnbogi (Miklavatn) at half past midnight. Having the light here 24/7 is great, as one would not really know if it is day or night anyway. 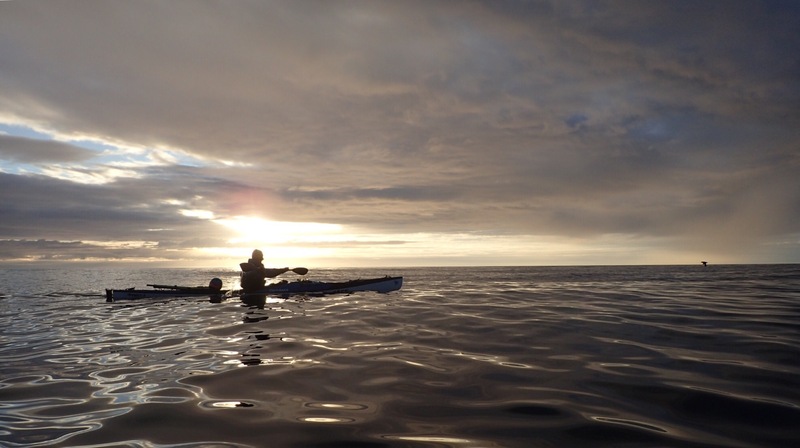 The beginning of the paddle was very serene. All was calm, the sea, the air, no one was around, no cars on the road above us, birds were sleeping. We could not hear a sound, not even of the sea crushing on the cliffs, or hum of waterfalls, and no wind yet to whistle past our ears. 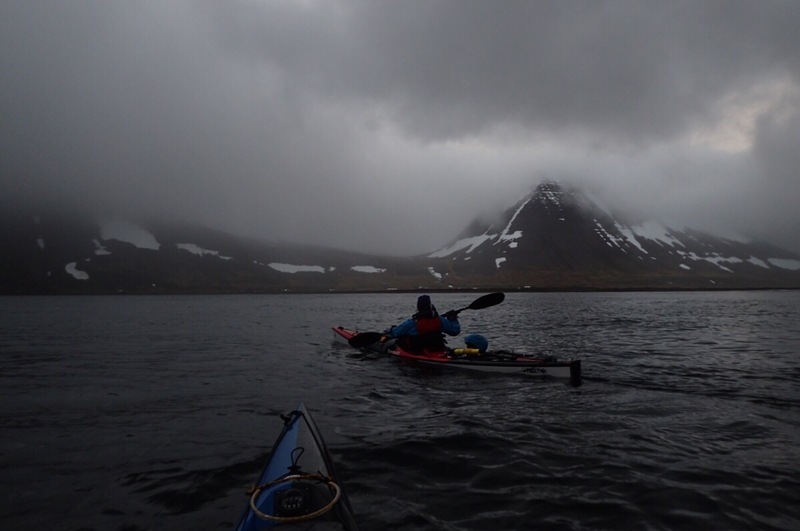 The smaller fjords, which we could see were a mixture of green, brown, and black and white colours covered by purple tint. This lasted until we approached the west side of Eyjafjordur. 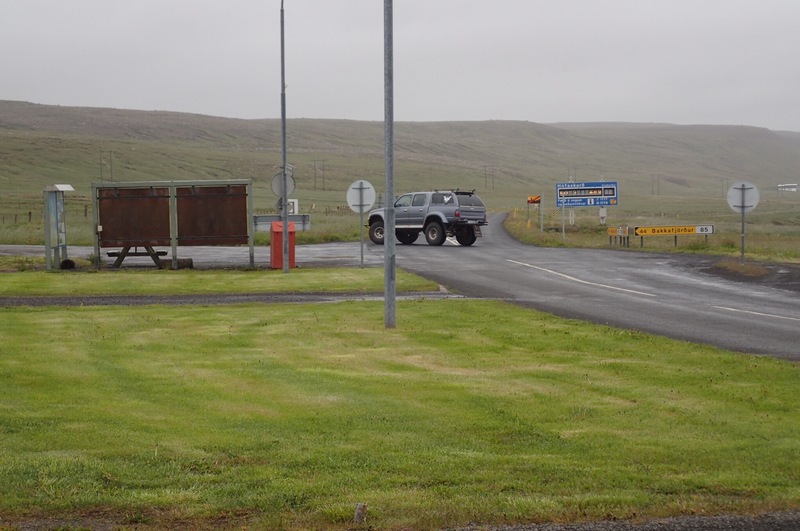 A cruise ship appeared in the distance and disappeared into the fjord towards Akureyri long before we came to the corner. Only later could we hear the distant sound of first fishing boat. And slowly the calmness was replaced with the usual cacophony of sounds lead by the wind. 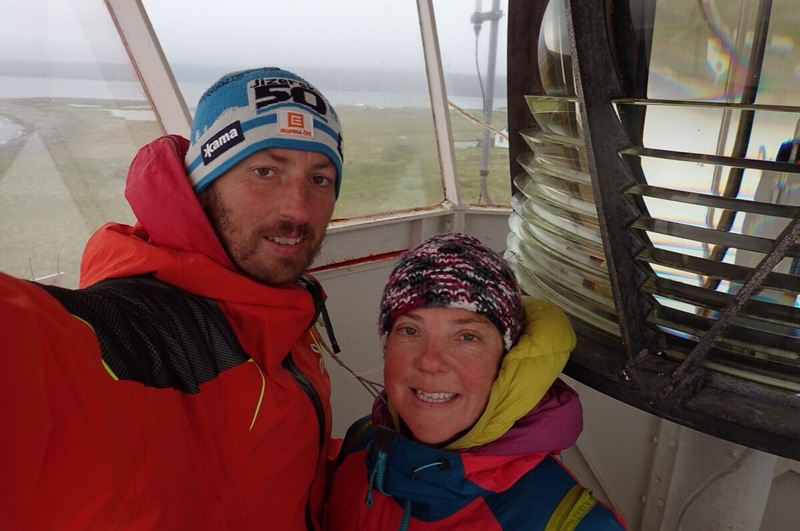 Soon the Gjogurta lighthouse came into view and we felt that we were almost there. 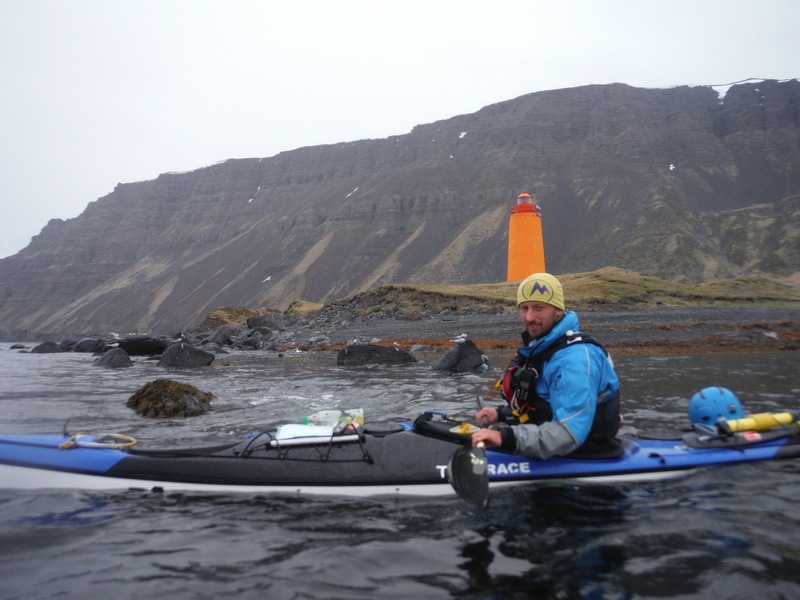 The first bay wasn’t very friendly for landing kayaks, so we had to add another seven kilometres into the Thorgeirfjordur. What was an agony first, became worth it in the end. 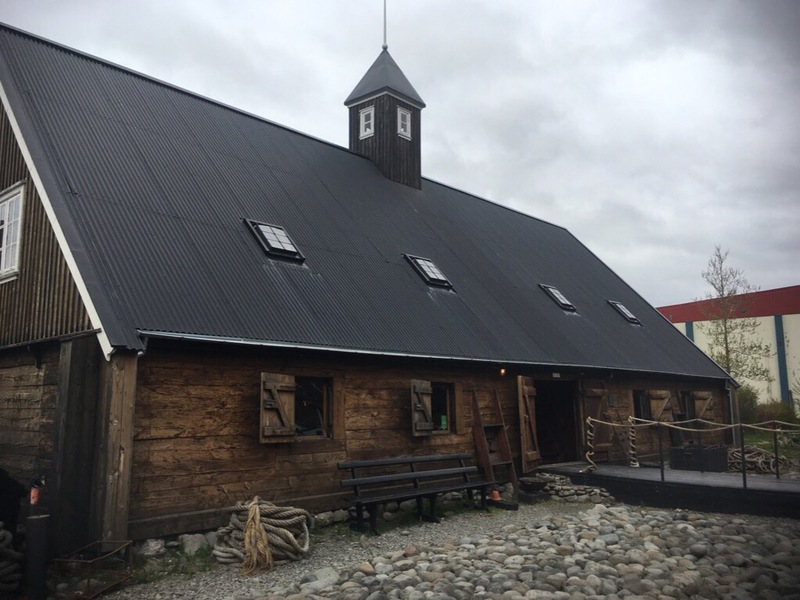 Thorgeirfjodur had a emergency shelter, which has been restored into more plush accommodation resembling a summer house. We arrived at 10.30 in the morning and went straight to have a nap before making decision what next. To do that we had to climb to the top of the hill to catch enough reception. The views were great. 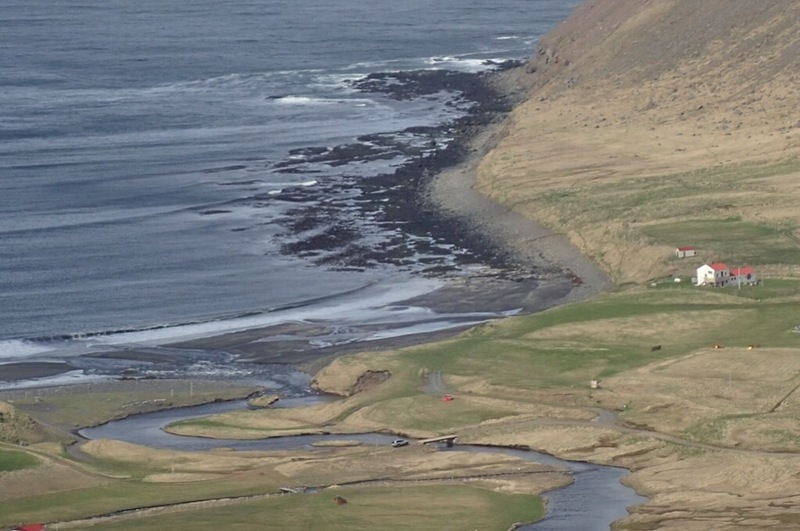 Thogeirfjordur is rather large bay, with a long valley along a river, surrounded by showy peeks. 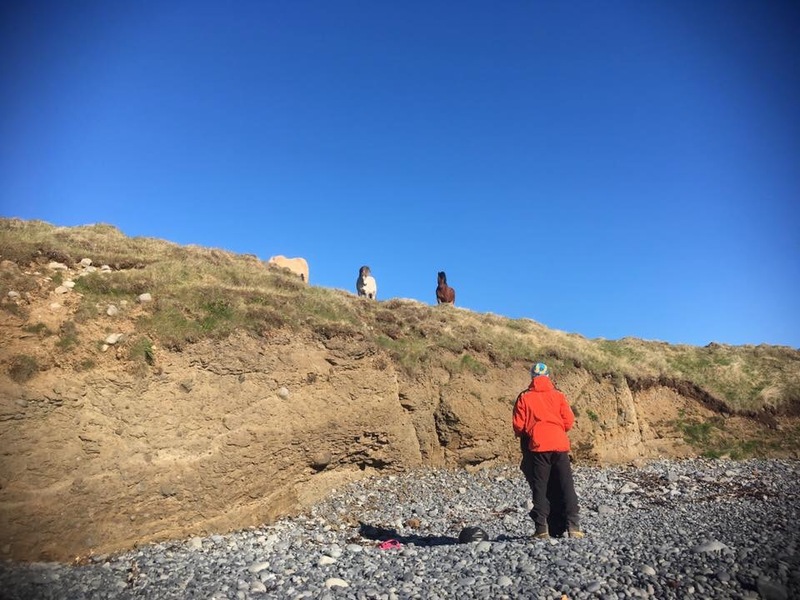 We could see many remains of former houses, a settlement has been here since early times until 1944. It had a church with a small graveyard. 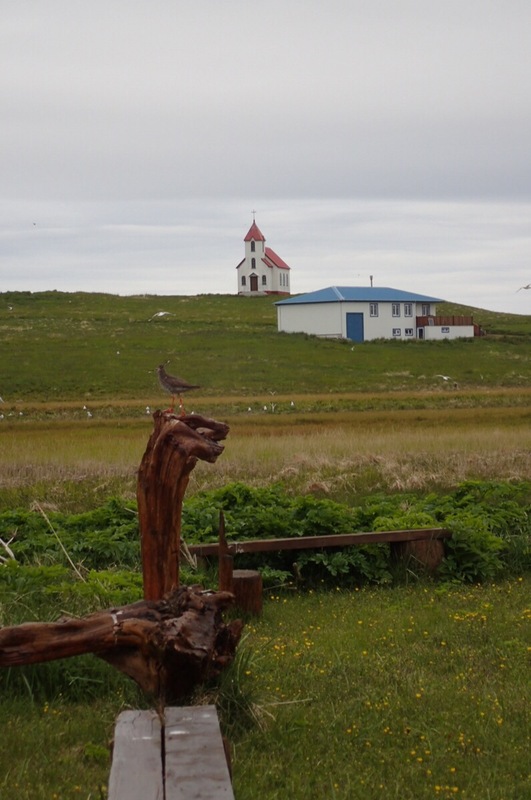 In 1944 the last three families left, two of which went to Flatey island. Flatey island was where we were heading to next. 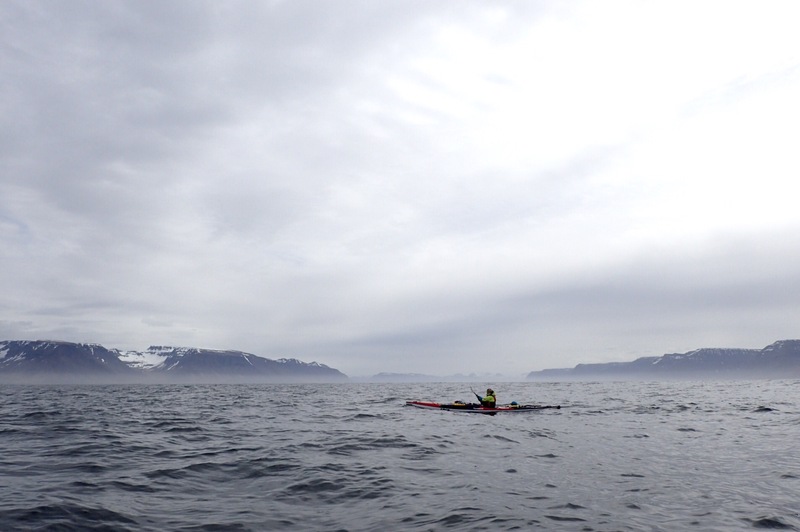 The forecast indicated that there was no rush the next day, as we would only be able to paddle the short distance to the island. We could see it already the previous day. A strip of land, 2,5km long with houses. They all seemed strangely empty as we arrived. 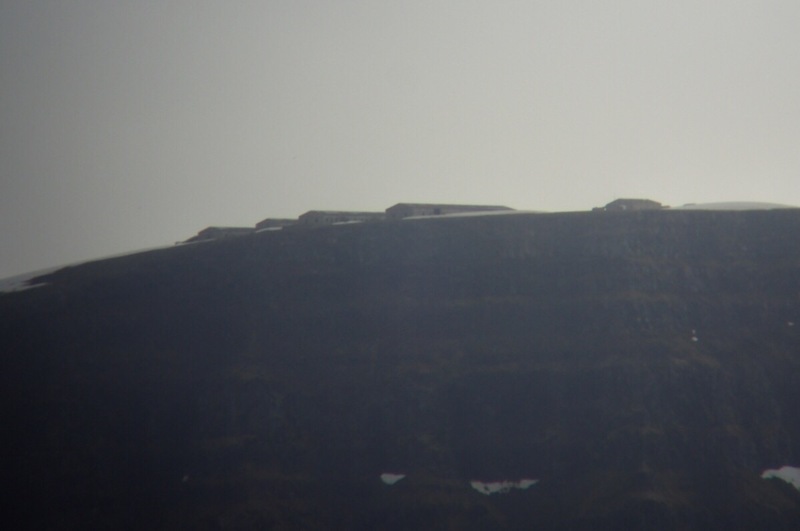 Once permanently occupied, they are summer houses now. 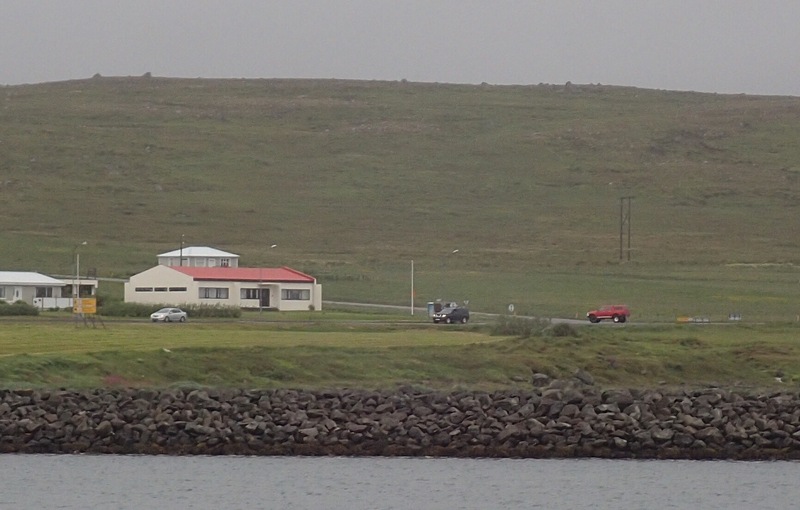 Flatey has a church, lighthouse, community hall and two clean flushing toilets with toilet paper. Something that we consider a luxury at the moment. What it doesn’t have is running water for random visitors. 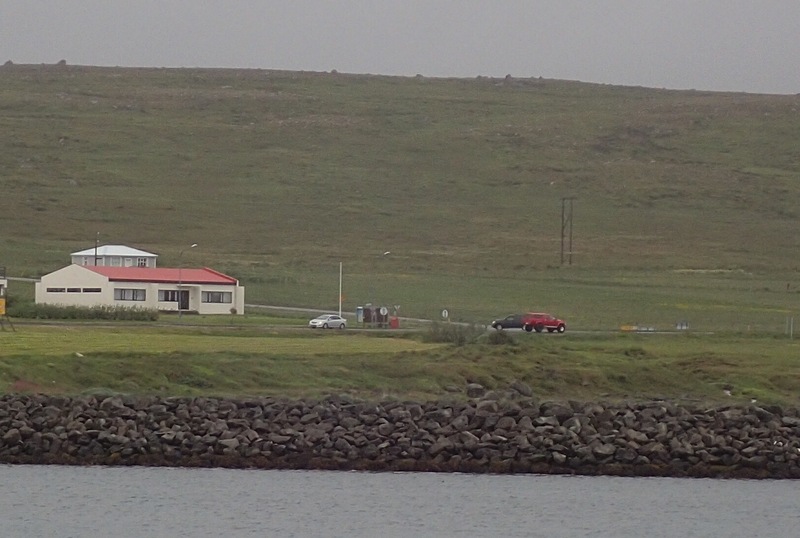 We walked around the whole island, past every house until we found one with people in. Lucky for us, as we need some more water to what we have. 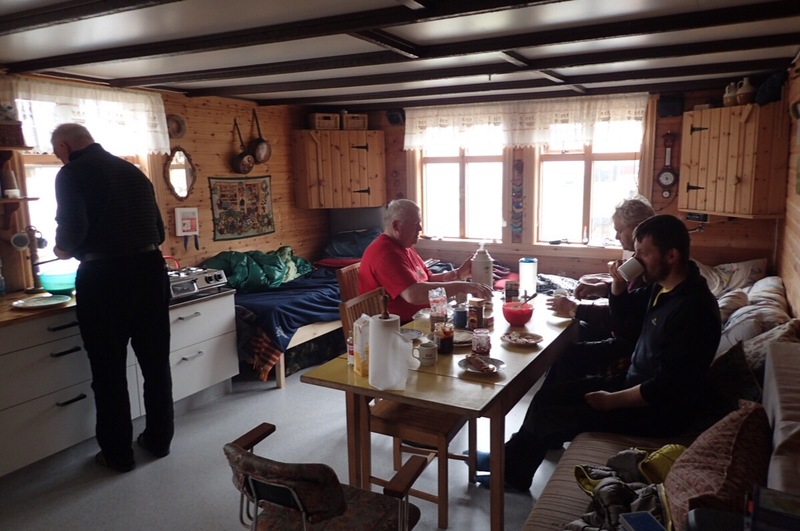 The couple was lovely, and true to Icelandic hospitality invited us for coffee and shared the history of the island with us. 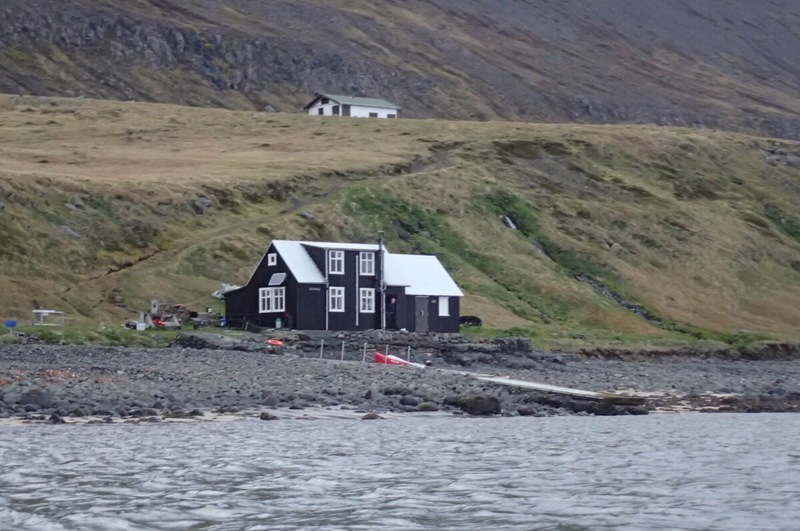 The next morning, quite early, we left to cross the Skjalfandi towards Tjornes. The crossing was foggy and wet. 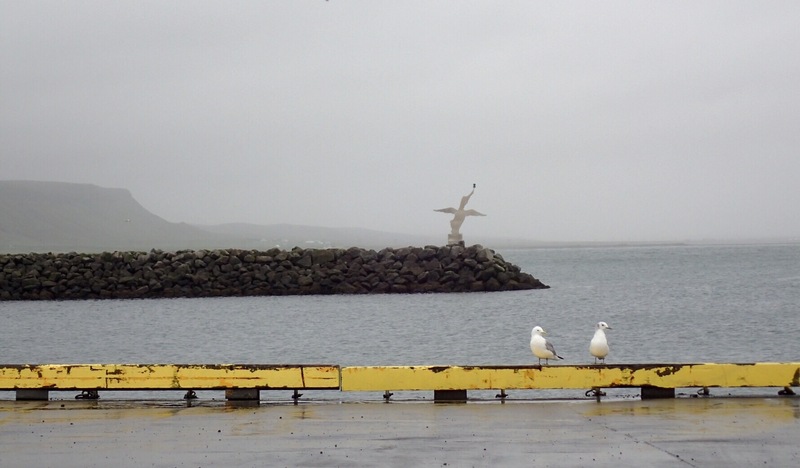 Husavik, which is situated at the south east side of the bay is famous for whale watching, sadly, we saw none. 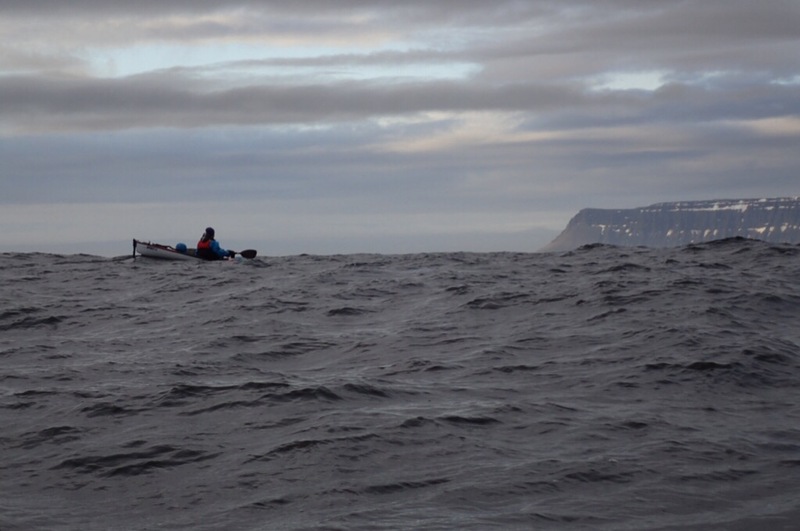 I know, we would have more chances if we were inside, but we would like to continue later on and really, with the constant headwind, we are trying to minimise the distance, we have to make. Today can be summarised in very few words, but I will start at the beginning first. 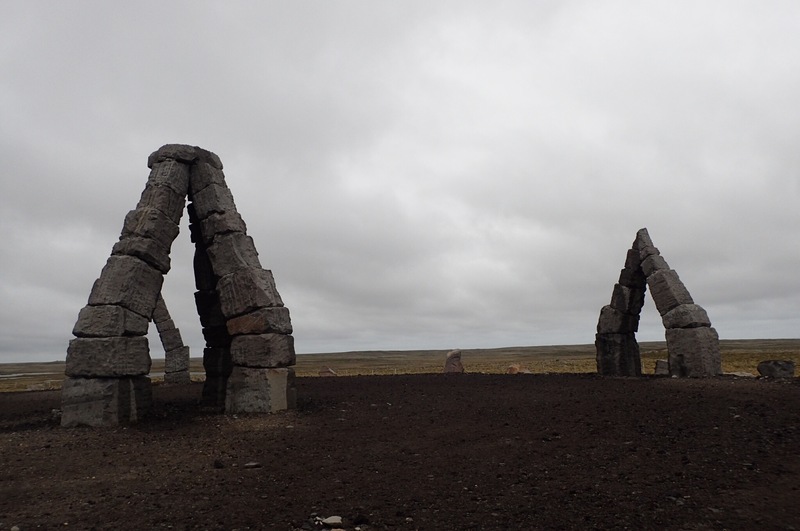 Yesterday morning we left very beautiful and very freezing Reykjanes and crossed forty kilometres over to the Skagi peninsula. We were greeted by a wall of shingles and warmth. We liked both, and decided to pitch our tent right above the sea on the shingles and bask in the evening sun. We landed quite close to a farm and every animal came to check us out, the horses, the sheep and cows. We decided to go to the farm house as we had no water and didn’t fancy the one flowing across such busy fields. At the farm we were greeted by even warmer arms of the farm lady and were invited to have coffee, and then given bread, butter and smoked fish. This was wonderful as we are running slightly low on some food. The night on the shingles was comfortable and we treated ourselves to a slightly lazy start. There’s nowhere to rush, we could see the wind already waiting for us. Today will be hard work, whatever distance we choose to do. 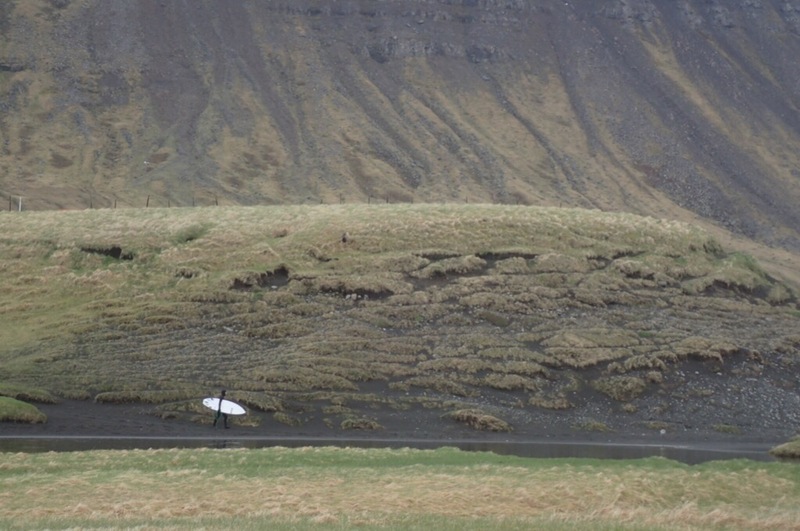 It went like this: the wind was a strong F5 headwind, and one had to use the whole body to make any progress forward. However every so often, it went a little still, as if the wind was taking its breath. 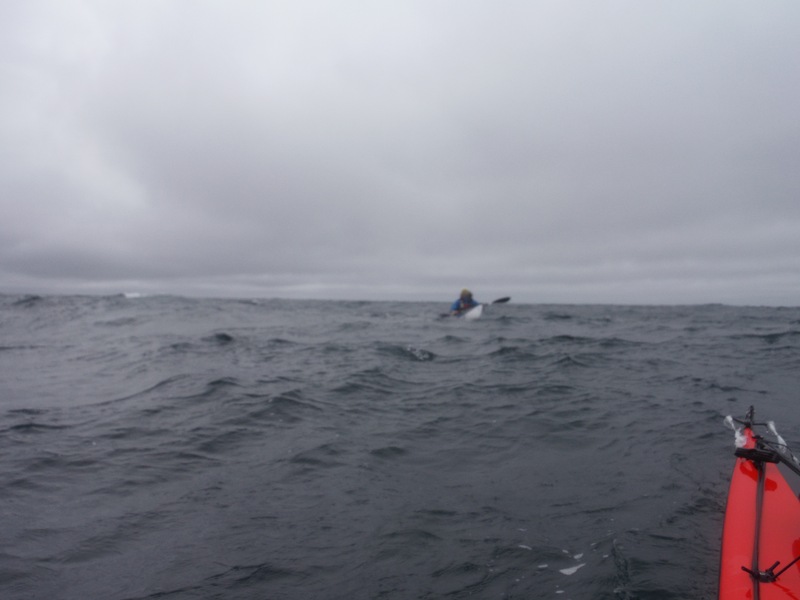 That was our chance to gain some metres, and then brace ourselves for the gust, here the paddling just managed to maintain our position and not to reverse. 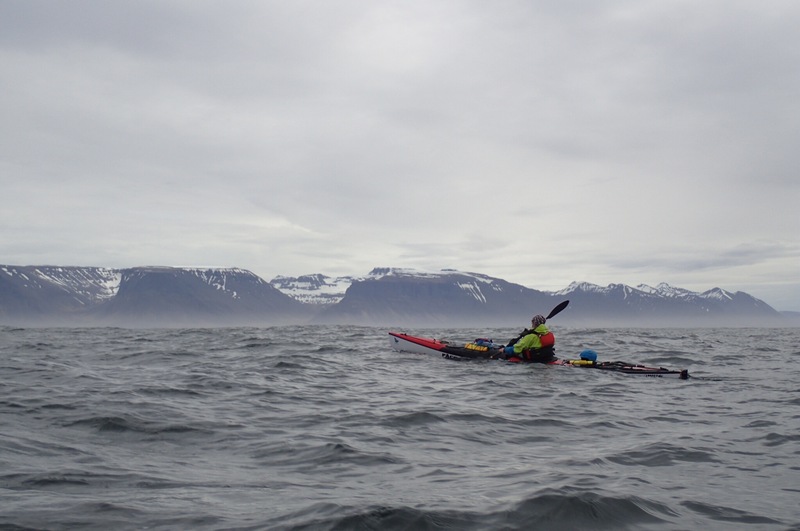 We have been doing this for five hours paddling around the top of Skegi. The low green land here was a stark contrast to the high cliffs from previous days. 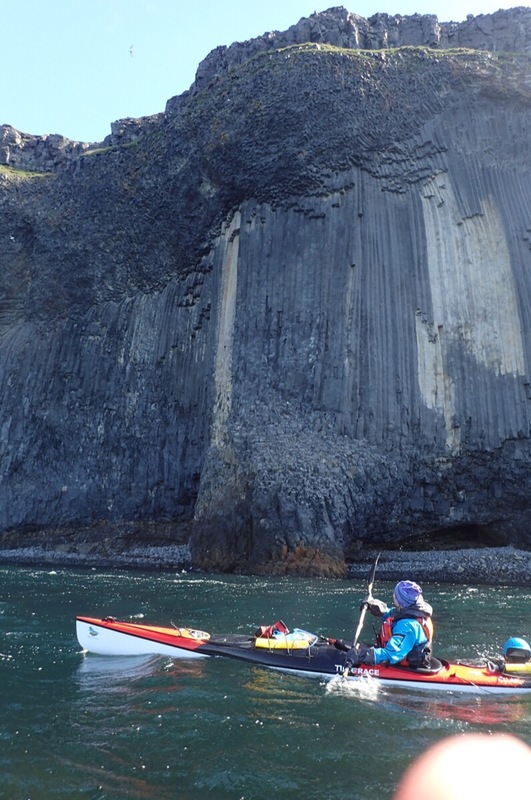 It was enjoyable to paddle close to land and there and now see the amazing formations of the basalt columns. The last, sixth hour, was different. 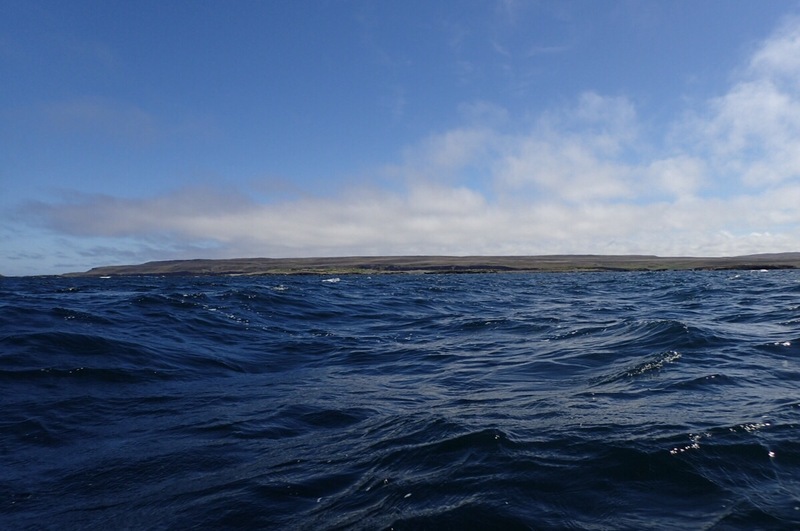 We rounded a headland and were crossing a bay, the wind was now from side, so the routine changed, the waves took over. 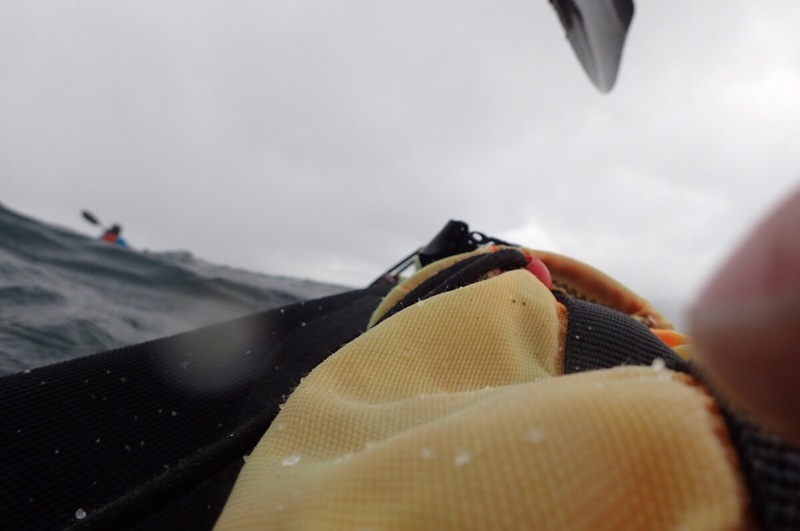 They were rocking us up and down, and only there and now one decided to break over a boat, not threatening, but enough to send the cold sea splashing all over us. 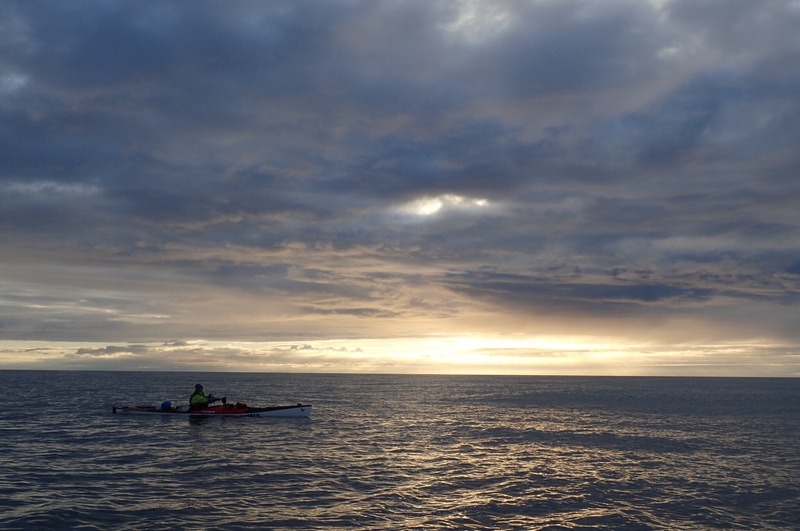 When we arrived to Sudureyri seventeen days ago we knew we would not be paddling for next day or two. 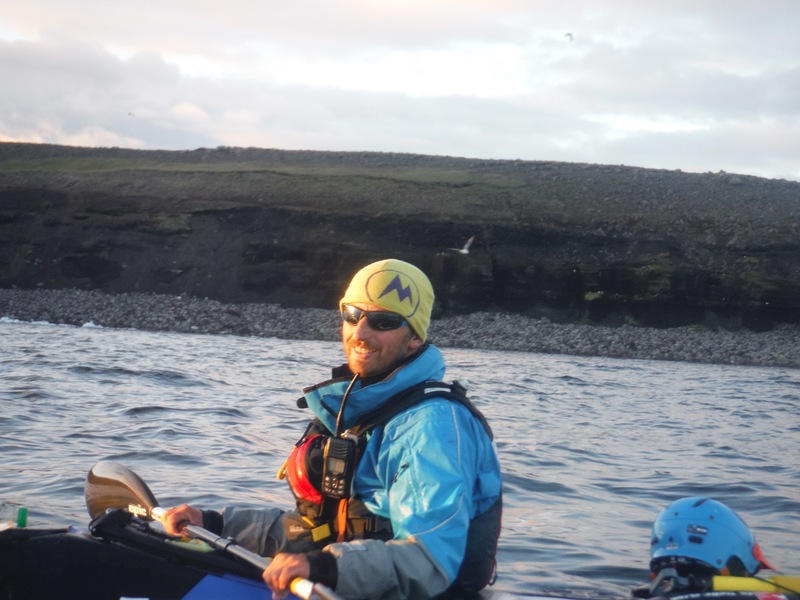 That’s was fine as we have paddled for few days and felt that we were making good progress so far. We were looking forward to the stop as we had to do some shopping before our next leg, the Hornstandir. 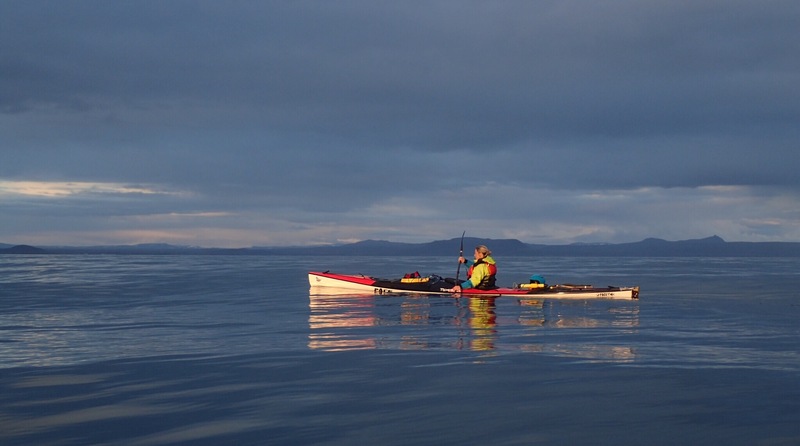 The first day of rest was fine, the second was ok, then as the forecast wasn’t getting any better came the time to become more creative with planning and paddling and we started to look for smaller weather windows at any time, day or night. Sometimes those windows turned out to be much shorter than forecasted or not as calm as promised, in the end forecast is just a forecast and local conditions can alter it significantly. 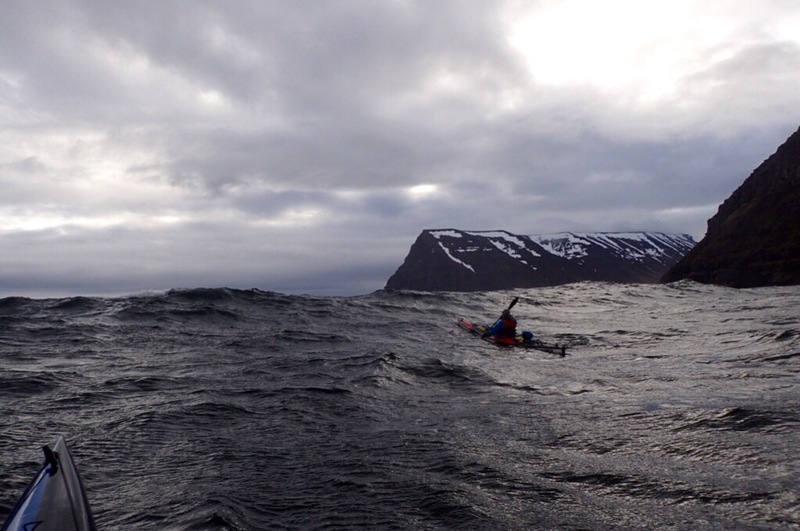 The start of the crossing to Adalvik was rough but doable. 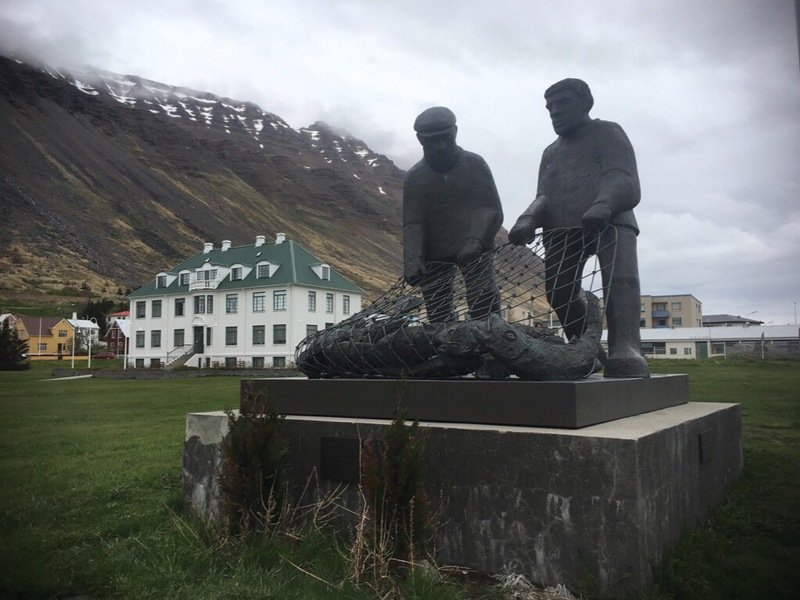 We had options to continue or turn into the safety of Isafjord. Both options were against the wind. We had quite a long discussion at the corner to agree that it was a good idea to continue, and that we were both happy to commit to the hard crossing. Then we became wind bound in Latravik for five days. Surprisingly the first few days were relaxing. 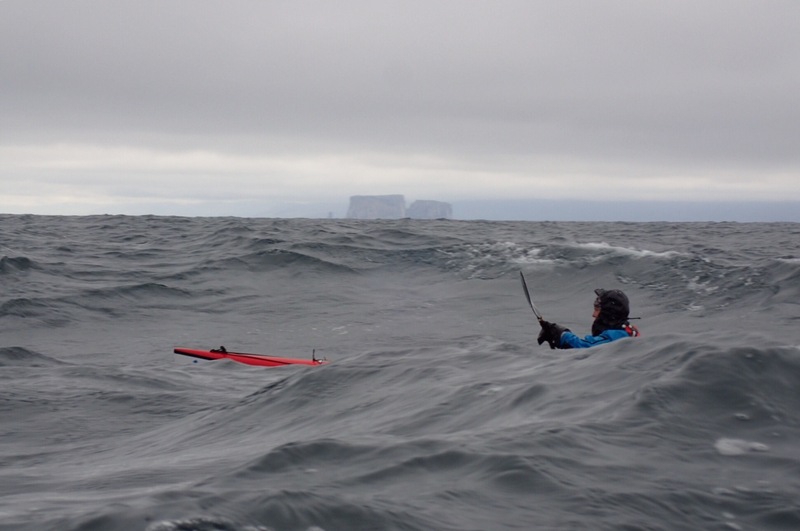 The weather forecast was way of beyond paddling so there was no need thinking if we should be or should not be paddling. Finally, after the five long days, already eight since we left Sudureyri, we could see a window coming which might give us chance of passing Straumness. We decided to take on the challenge. We hard earned the progress, yet looking back it is interesting to see how decision “should we or shouldn’t” is made. Is having a “chance” to pass certain point and make desired progress good enough to go? Especially with the knowledge that it either has to be made all the way as there may not be a chance to turn back, and definitely no way of stepping out of it? The decision making this time was definitely influenced by the time sitting on land waiting. In contrary if long mileage is done and good progress achieved it is almost natural to look on same conditions and decide to stay on land instead of taking chances. We learnt that big part of this decision making progress depends on feelings of being strong or tired, both mentally and physically. Like the morning in Bjarnarfjordur. 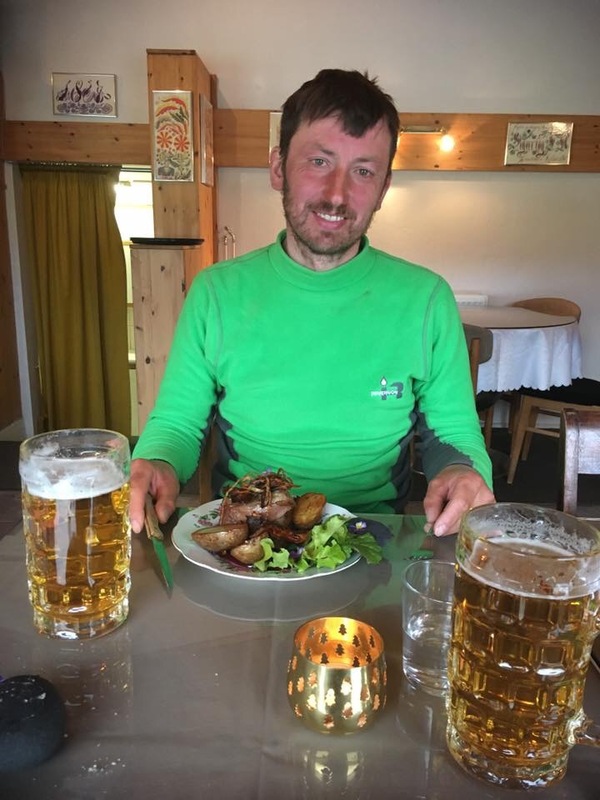 Day before we achieved a long day of 70kilometres and left the Hornstandir area, where we spent nine days. We were eager to continue. The forecast was ok-ish. 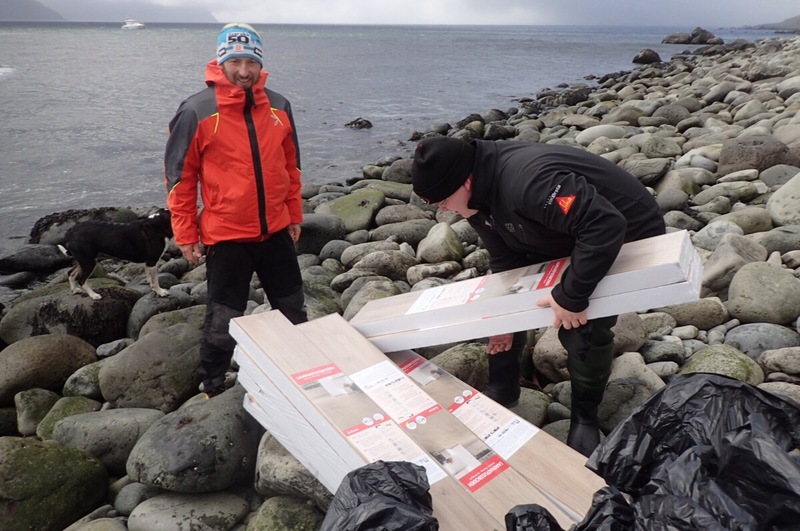 We packed everything, changed to drysuits and just when we were ready to start to load the boats the wind came with strong gusts. Fresh on our memory was the knackering finish of previous day, which was giving us a feeling that this paddle would be about taking chances. So we pitched our tent again and decided to wait for better weather laying down in our sleeping bags. Listening to and watching the tent shaking with every gust we were reassured of making a good decision. The following day we decided to move on despite the forecast being almost identical to previous day. But looking at the sea, it looked friendlier, and we felt we could do it. 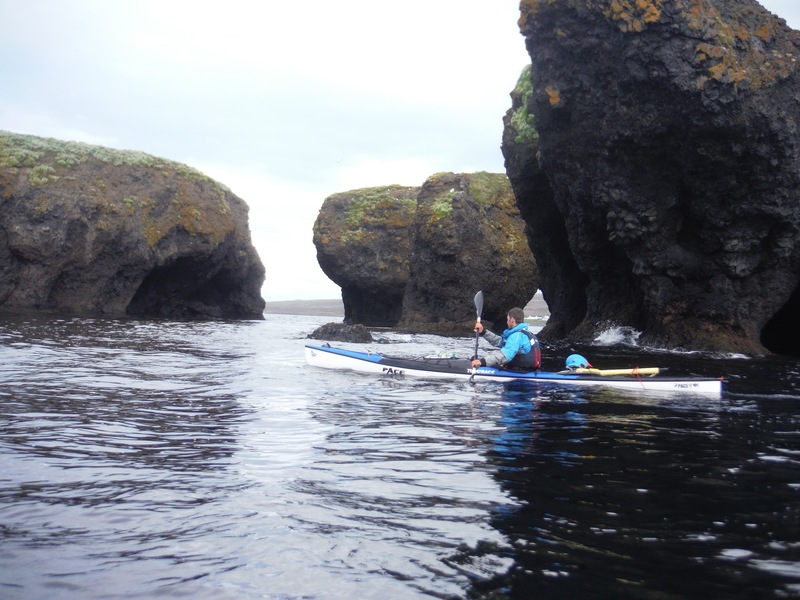 And so we left and paddled in big following sea until Reykjaness. 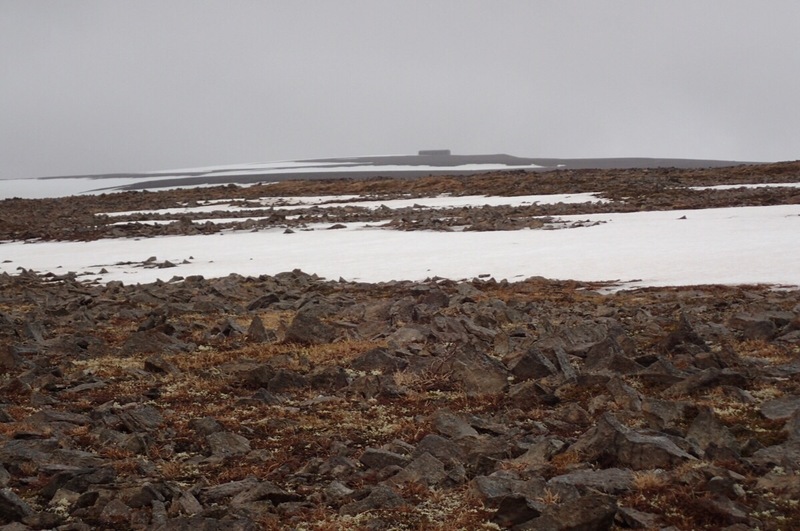 Because really, the conditions looked promising for the next day, today, to cross forty plus kilometres across Hunafloi towards Skagi area. 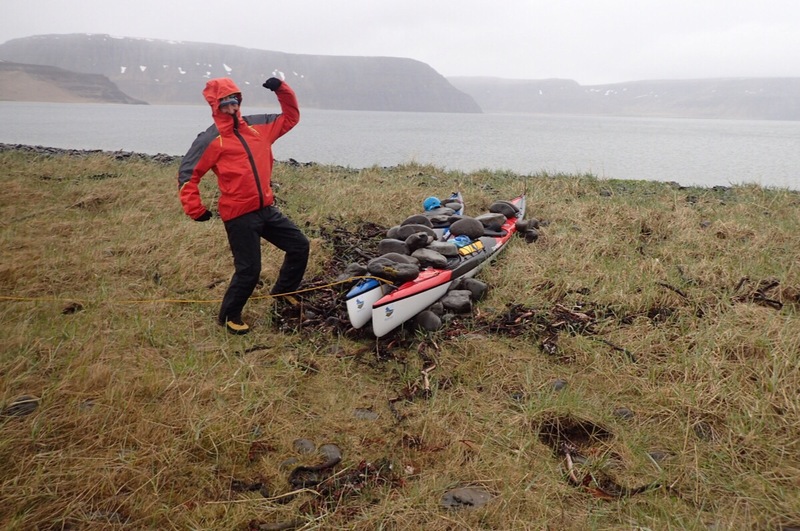 We woke up into what would be our third day in Skalavik. We like to think that we know how to be land bound. One just has to slow down, let the time pass and entertain one self with everything possible. For example, when there are days to be waited through, each action needs to be done as one. So if one is cooking, then that’s it, no coffee drinking or even reading if one is cooking. Also if someone is cooking, the other person, should not waist any other activity, that can be done after cooking. 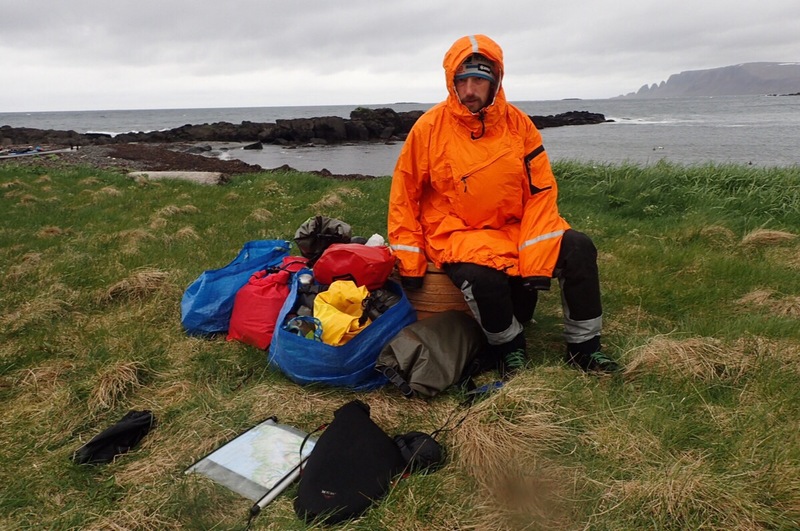 It is ok to help, or even watch, but definitely not go for quick walk, boat check, or tidy tent, these all can be done after. The same goes with reading. When books or even individual lettres in them are sparse, there are some internal rules to apply. So it is not ok to read after waking up. After waking up, it is good to check, if it is possible to sleep some more. If not, then getting up is a good time filler. After that breakfast could be done, then tea, then washing up, then some rest. If coffee is being cooked, then reading is definitely not allowed. Walk before reading is good, followed by another tea. Sticking to one action at the time, with some walk or people watching (if possible) thrown in, then reading may not even happen till later. But if one is sleepy after such exertion, then it is definitely waste of pages trying to sleep on them. And so it goes. 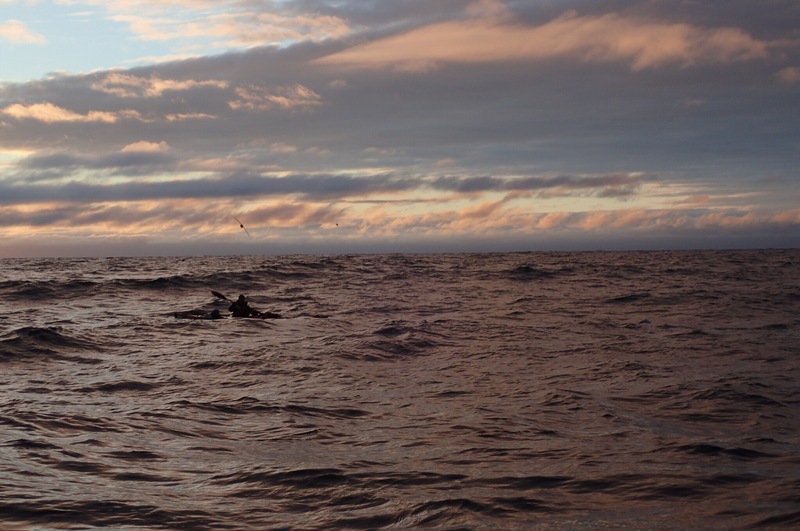 The day fills in, and valuable pages might have been saved for another rainy non paddling day. It is also not allowed to reach for book on the first non paddling day, as more may follow after. And then what? Fortunately today was meant to be entertaining enough without needing to reach into the bag to get a book. Maggi, the one who helped us with SPOT, finished his weekend task early and promised to come to pick us up for some food shopping. 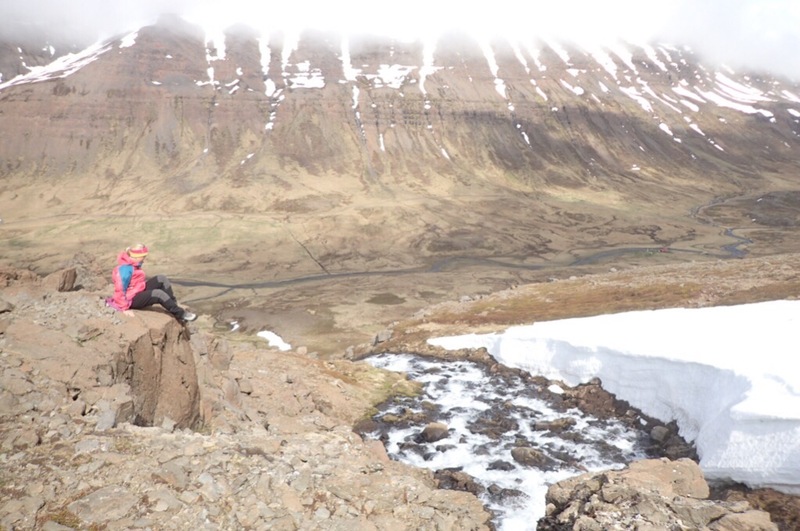 It will be our last chance before crossing over Isafjordur and Jokulfirdir towards Hornstrandir. True to his words he came, and somehow the day worked out, that we ended up in his parents’ house eating their Sunday roast. Thank you Mrs Maggi’s mum. 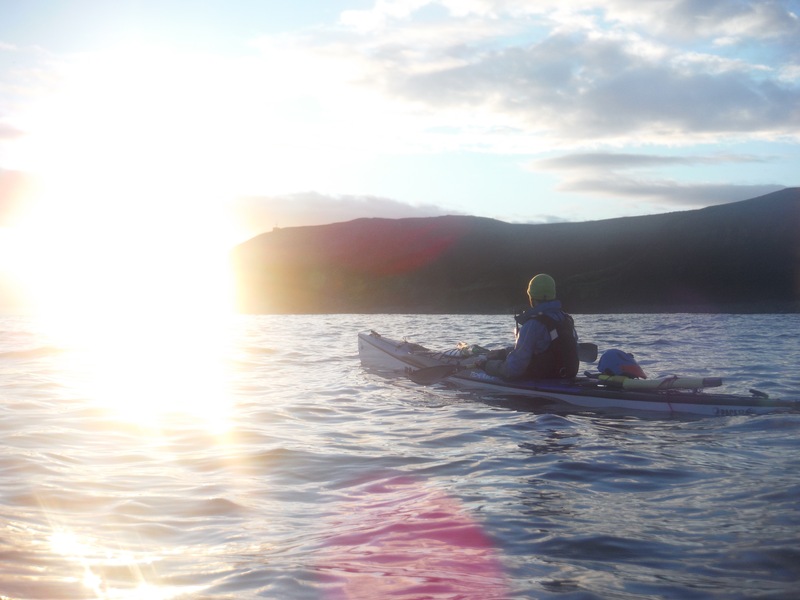 After charging everything and much weather checking, we made a decision, we will paddle that evening. Maggi dropped us back, and we got to work. It takes us two hours at least to pack our stuff, get ready and launch. By quarter past six we were ready. The wind was a steady F4 with the prospect of it calming down, it was a headwind to go past the headline. 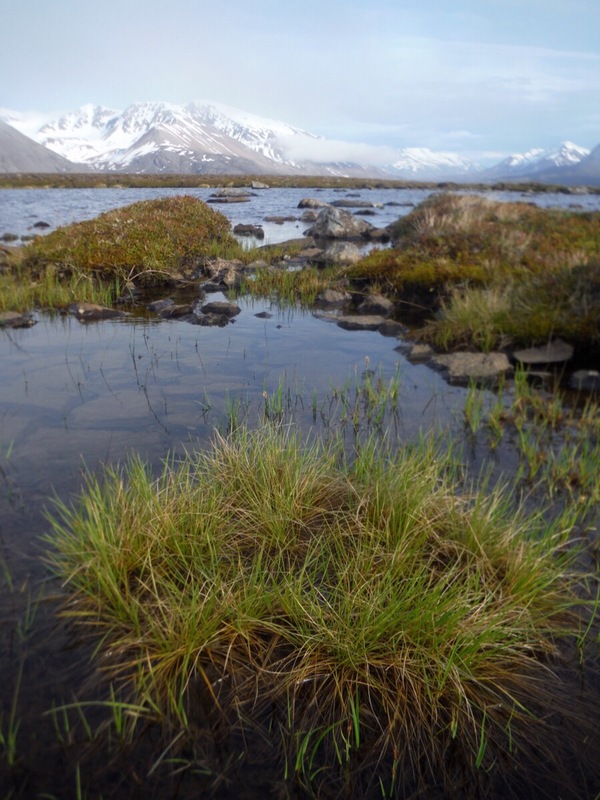 But everything could be different as the mountains and fjords tend to do their own thing with the wind. The wind at the first headland was more than F4, I didn’t think I wanted to continue with the 23 kilometres crossing in this. 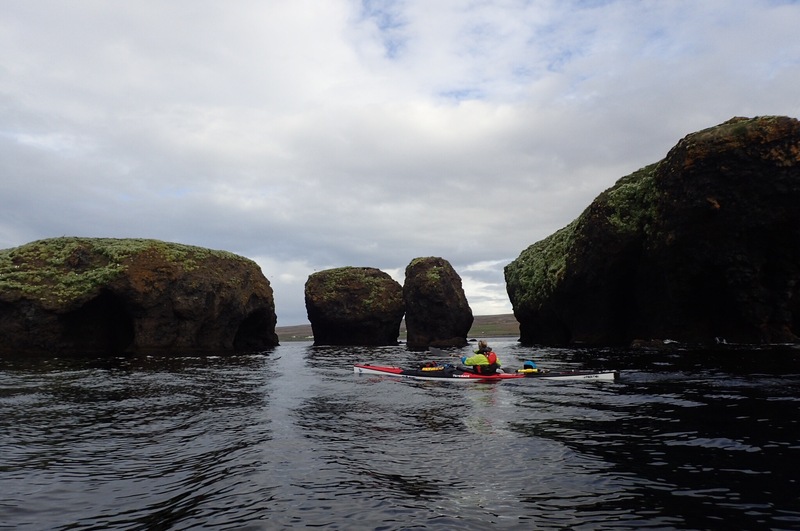 We decided to paddle a little bit hoping that the headland is holding the wind more, and it would be calmer further on. 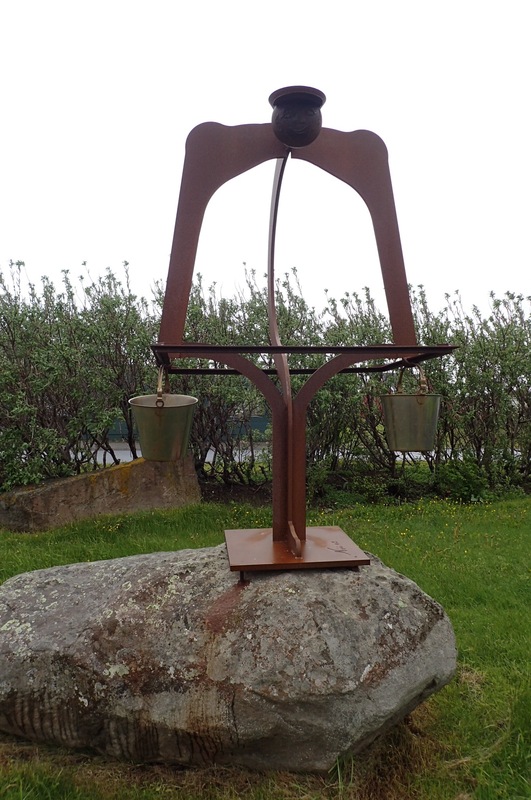 It was also blowing quite strongly down from the fjords. 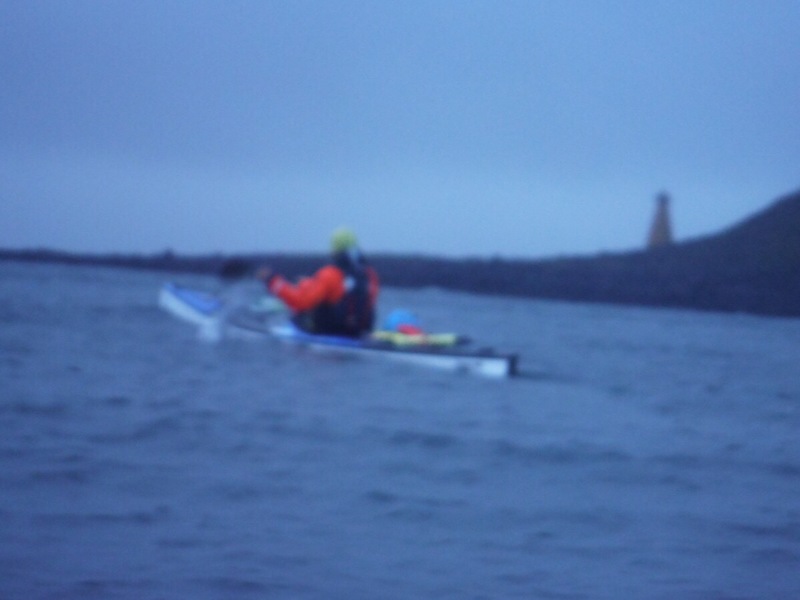 We had two options, paddle across with headwind from side or paddle into Bolungarvik with straight on headwind. 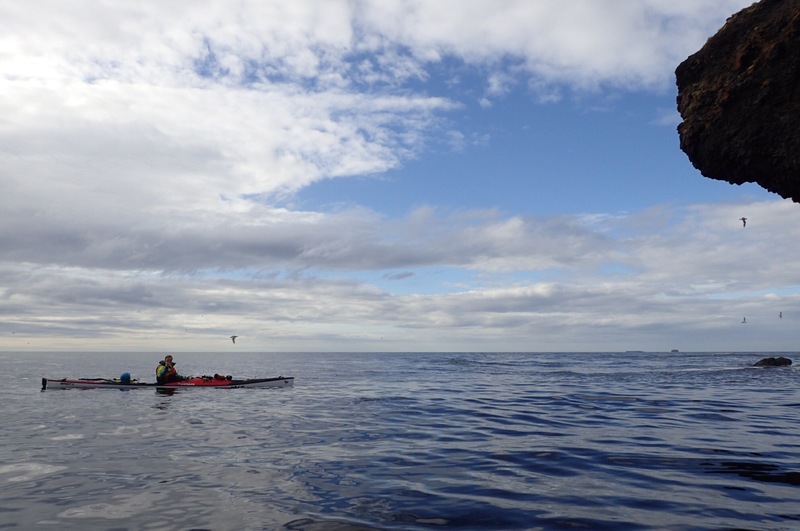 First meant long by distance, annoying by side waves, tiring by wind paddle but making progress in our aim, second meant headwind paddle round the corner. We decided for the first option, hoping that it would die down as forecasted. 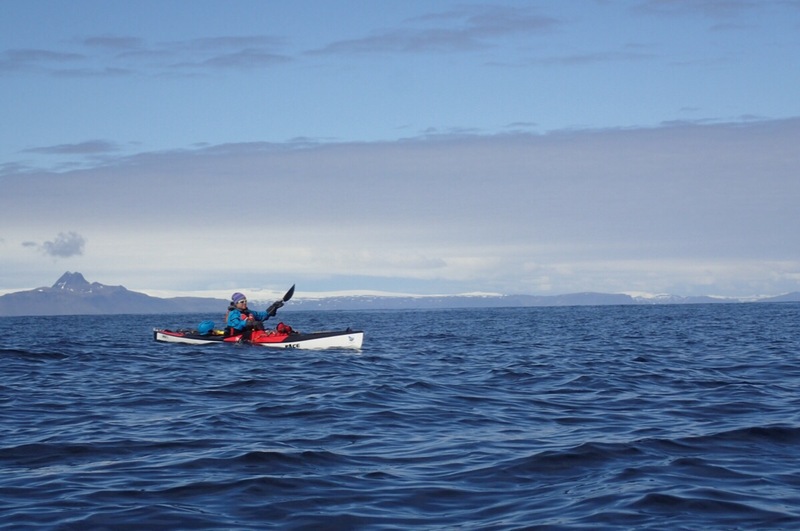 The whole distance was about 20 nautical miles and with the intended slow progress we prepared for long night. 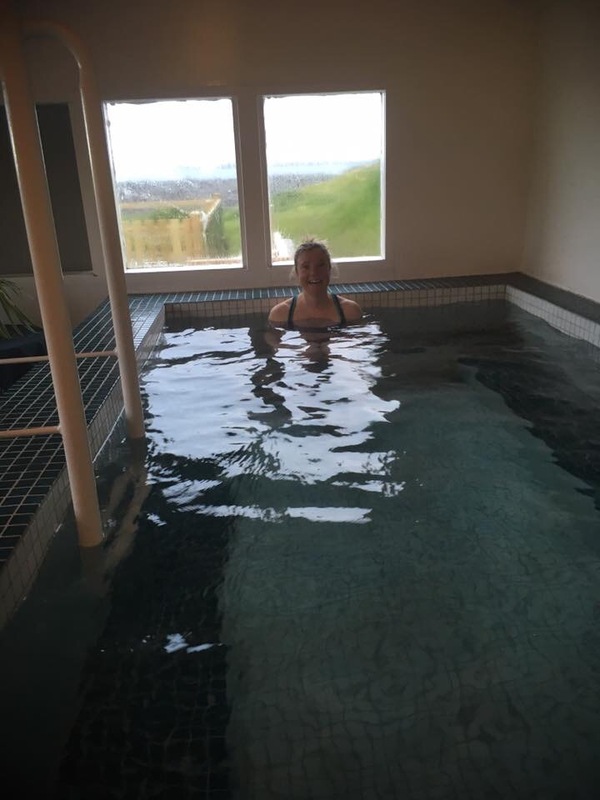 Fortunately, we’re in Iceland, so daylight wasn’t an issue, yet, the day slowly came to an end, the light turned blue, and we watched the midnight sun to go to sleep. 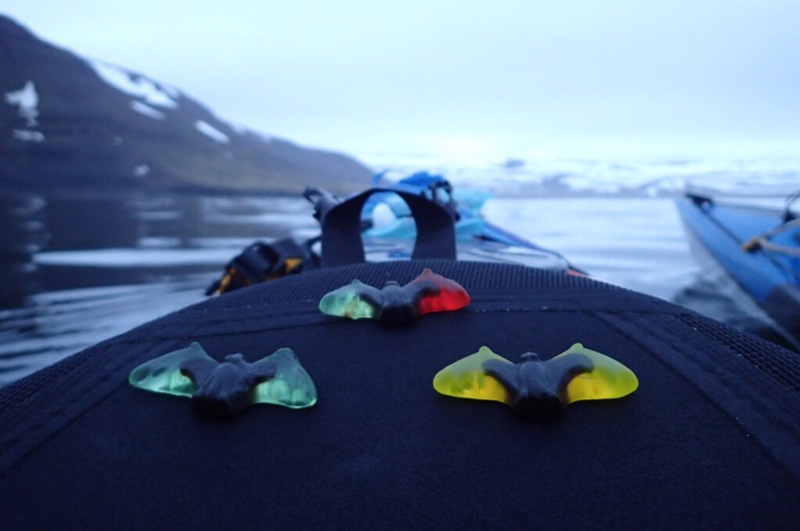 At one o’clock in the morning we landed in Latravik in the bay of Adalvik. 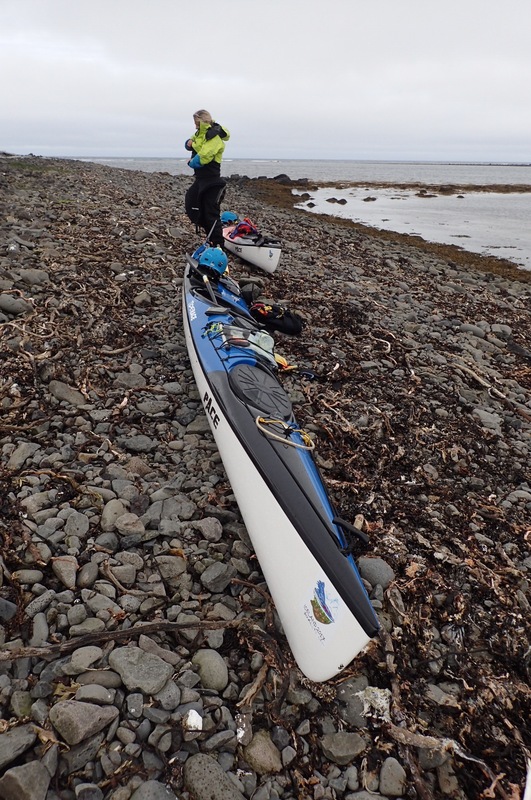 Only when out of boats and performing all the necessary actions of getting the boats out of water, and us ready for the rest, we realised how much energy we spent and how tired we were. We opted for a night in the emergency hut, as I only really had enough energy to find my sleeping bag and mat, and blow it up.